By Sundas Jabeen on	 January 17, 2015 Whats Happening? After a heart breaking and deadly School massacre in Army public school Peshawar, many false news are being spread over social media about the threats in other Educational Institutes in Pakistan. The incident took place on December 16, 2014 when a group of extremists, Taliban entered an Army school and killed the innocent children and teachers as a revenge of Anti-Taliban operation Zarb e Azab, carried out by Pakistan Army in North Wazirastan. After the loss of innocent lives, the entire nation showed unity and anger against Taliban and demanded public execution of Taliban Prisoners in jails all over the country. All these prisoners are already sentenced to death by Pakistani Law but were not hanged yet as government had stopped executions in Pakistan. After this cowardly act by Taliban, the government started executions and hanged few prisoners. The rest are about to be hanged soon. Throughout this process, government announced official winter vacations in all public and private sector educational institutes of Pakistan. All the institutes were ordered to ensure their security within the vacations in order to re open it for the students and teachers. 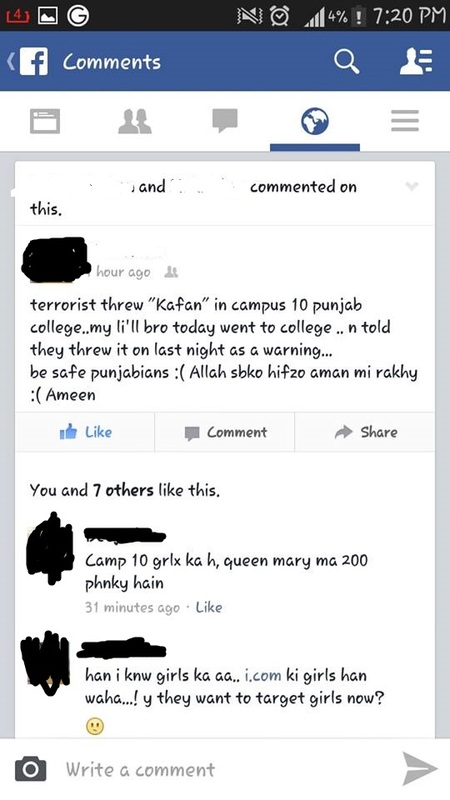 They could only re-open the institutes if they have followed all the security measures for the safety of the students. Since all this time, some bad people started to spread false news and rumors about the threats and sensitive situation of the country. Though the nation as well as Pak Army is not afraid of such cowardly acts and has taken all the security measures to protect the country, some uncomfortable rumors are seen everyday playing with the feelings of nation. It all started with the rumor of threats in schools before vacations. I received more then 100 text messages saying that “It is a confirm news that School XYZ has received threats from Taliban. So whoever is enrolled in that school is requested to stay at home and remain safe tomorrow”. When I logged into my social media accounts, all I could see was the same message but with different institute name. Whosoever got the message, used to edit it, write their own institute’s name and forward it to the list of people they are connected to. Now wait a second guys, take a break and see what you are actually doing. Just because you want your school closed for a perfect winter holiday? This is NOT fun. 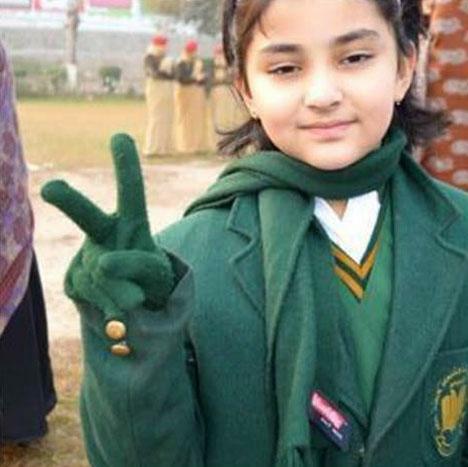 On the other hand, Children of Army public schools, the survivors and injured ones, wore their uniform and reached the school the very next day saying that they are not going to let down the pen. They were brave, determined and said that they are not afraid of anyone and will never compromise with their education. This is called courage and positivity. We need to be united and positive to show the world that we are strong enough to face the coward enemy who fight with the unarmed kids of our nation. This is the time for us to be the support but Unfortunately, we are doing nothing apart from updating a status, turning our display pictures to black and sharing photos with candles to show support for the departed souls. I am not against this. This is right and I respect this but if we really mean it, we should be careful about what we are posting and sharing. We need to trust the right people. We need to understand that entire nation is going through a hard time. Kids need motivation to go back to school. We being the elder brothers and sisters are suppose to tell them that they are safe. Here is another rumor that is started to spread as soon as the educational institutes of Pakistan re-opened on Jan 12, 2015. Now this post was seen everywhere with the name of school changed. Come on people, if it was true, how come our media missed it? Or the school management? why would they wont inform their students to protect them? and how come they threw 200 kafans and no one saw them throwing that? I tried to argue with some people on this. Instead of considering even a single point of argument, they try to fake that they saw it on TV and how they were the primary source and were mysteriously there at the time of incident. We really need to stop this. We need to promote the courage and motivation to rise and shine and stand for education. Our behavior should be encouraging but unfortunately, we are proving to be discouraging and coward. Do you think someone can kill you if your death is in the hand of ALLAH almighty? Do you think you will not die if it is written in your fate? Then what is stopping you to be bold enough to acquire education? Its not our fear but our own desire of NOT going to schools. This has to be figured out. Either you drop out form your college and confess that you don’t want to study or you just stop discouraging other people for that. We need to change guys..! Its now or never. What you want to tell to our enemies? Are we afraid of them? Or we do not trust our Army? Our Army is one of the top armies of the world and I trust it on my life. If you do not trust it, its okay. But stop being afraid. If you have to die, you will. No matter you go to school or not. If you don’t have to die, you wont; even if you are attacked. ISPR released a motivational video to encourage kids to go to schools. Media is playing a positive role too. We, being so sensible and responsible citizens of Pakistan should be careful and thoughtful about the things we see around us. All the educational institutes of Pakistan are safe and even if something happens, we as a nation are ready to face it. This is what our ancestors did and this is what we are exactly supposed to do. Long Live education, Long Live Pakistan.